#Guelph Black Heritage Society Events Coming up in Feb! Bring joy to your February. Celebrate the contributions of black Canadians who have helped to make Canada what it is today. Feel the warmth of Heritage Hall (HH) with friends by joining in festivities this Black History Month. Kick off with the Band ‘Built‐for‐Bob’ ‐ a Marley tribute ‐ February 6, 2016.
or email info@guelphblackheritage.ca for more information. 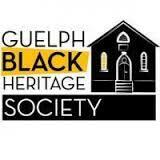 Since 2011 Guelph Black Heritage Society has striven to create a cultural, historical and social community centre within Guelph and Wellington County at Heritage Hall, formerly known as the British Methodist Episcopal Church, a significant destination on the 19th‐century ‘Underground Railroad’ slave escape route.